Let's talk. Let me know a day and time that might suit you and tell me how I might be of assistance. You'll be talking to Steve, the person who will be servicing your mattress not some answering service. If you have booked a full service on your mattress it will be a little damp when completed, be sure to have adequate ventilation. Pedestal or ceiling fans can half your dry time. If your appointment is late in the day you might want to organise a back up mattress for the night or just book yourself into a 5 star hotel. Your mattress now looks as good as new! Enjoy my 6 month dust mite free guarantee. No more sneezing, itchy eyes or coughing. Just a quality nights sleep on a professionally cleaned mattress. If you are looking for a professional mattress cleaning service in Melbourne, please give me a call Mattress Cleaning Melbourne. I have over 8 years experience in the field of mattress cleaning, stain and odour removal and dust mite sanitation. My training and knowledge in mattress cleaning and mattress sanitising qualifies me as somewhat of an expert in the Melbourne area. Whether it is mattress dry cleaning, mattress steam cleaning or mattress stain removal, let professional mattress cleaner Steve Stoward show you just how good your mattress can look and smell again. I am positive that I can get the results that you desire. Once you have obtained the services of Mattress Cleaning Melbourne you can relax knowing that your mattress is in my capable hands. It will be free from dust mites and dust mite excrement and you will enjoy a clean and sanitised sleeping environment. Your sterile sleeping area will now have you starting your day fully rested and ready to go. Having your mattresses cleaned and sanitised is the perfect way to achieve an allergy free and healthy lifestyle for you and your loved ones. Why put your trust in professional mattress cleaner Steve Stoward? I am a fully trained expert in the processes and techniques required to properly clean a mattress. 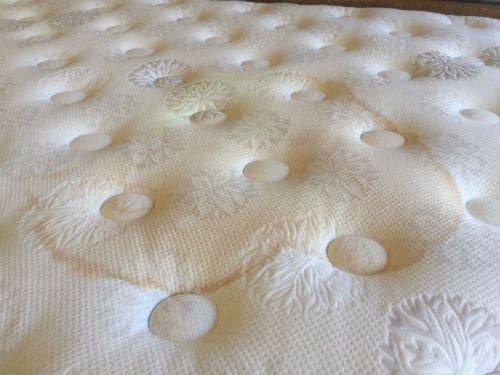 I have over eight years experience working with all types of stains on all types of mattresses. I think an equally important answer to this question is 'Quality of Life'. We spend on average a staggering 26 years of our lives in bed. Making sure that your sleeping area is sterile and dust mites free should be high on everybody's 'to do' list. Bad odours, stains, dust mites and dead skin flakes can lead to allergies and respiratory problems. When I clean your mattress and pillows you can be assured that you will be sleeping in a completely sanitised and clean area free of dust mites for a period of at least 6 months. Cleaning a mattress properly is only possible if you dry clean the mattress using a combination of hepa filtration and a certified anti dust mite treatment. Stains and odours can be successfully eliminated after this initial process to completely restore your mattress to its original sterile condition. Some mattresses may require deeper cleaning if stains and strong odours are more apparent. Rest assured, no matter what condition your mattress is in Mattress Cleaning Melbourne can improve its appearance and restore the health of your mattress to your complete satisfaction. If you are confronted with any of the problems below, get in contact with Steve at Mattress Cleaning Melbourne. How do I remove dog urine from a mattress? How do I remove cat urine from a mattress? How do I remove urine from a mattress? How do I remove blood from a mattress? How do I remove vomit from a mattress? How do I remove sweat stains from a mattress? Trying to fix some of these issues with home remedies can often lead to irreparable damage and can even void the warranty on your mattress. Stain removal can be tricky, sometimes the best intentions can lead to making an easily removed stain quite permanent. You can depend on me to deliver an excellent service with consistent results in mattress cleaning every time. There are many reasons why you can bank on me for delivering excellent cleaning and mattress sanitising service. I started Mattress Cleaning Melbourne and I have been a qualified and successful mattress cleaner for over eight years. My training and experience doesn't stop there, I can deliver the same exceptional service if your carpet or upholstery needs cleaning. The experience and training that I have received over this period has helped me to become an expert in mattress dry and mattress steam cleaning, sanitising, stain removal and odour removal techniques. My low moisture mattress cleaning methods are proven to be extremely effective – your mattresses and pillows will be free of dust mites for up to 6 months and all stains and odours that can be removed are safely eliminated. Some mattresses require more intensive cleaning than others, I am fully qualified in the latest stain removal techniques and I can achieve brilliant results with products that I am fully licensed to carry. Mattress Cleaning Melbourne only use USA/EPA tested and approved products for mattress cleaning along with state of the art and cutting-edge equipment. 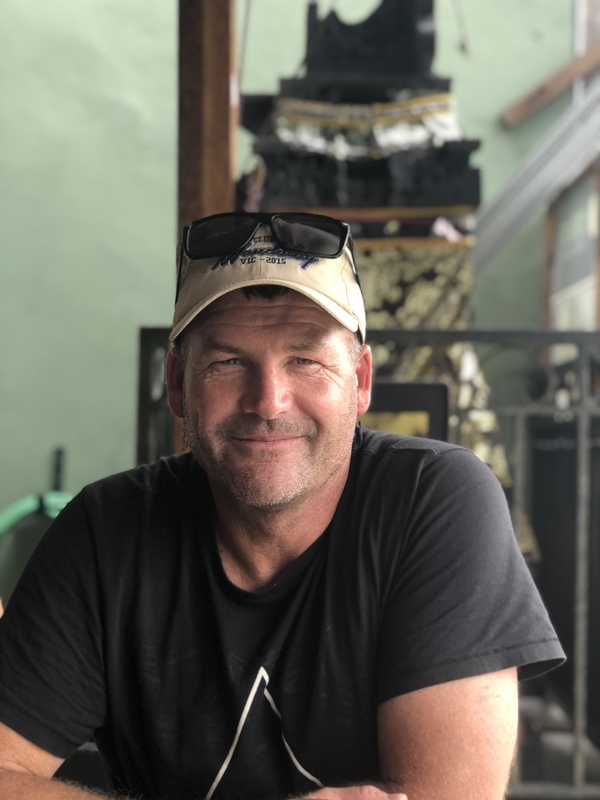 This combined with my training and experience enables me to offer the best possible chance of delivering quality and assured results at all times. Please, don’t ever be embarrassed about the condition of your mattress. I’ve dealt with so many mattress cleaning issues in the past 8 years, my experience in dealing with these issues and getting fantastic results is expansive. Is your mattress bulging or dipping, but still under warranty? As an additional service, I can supply you with the documentation you may need to take up any warranty work on your mattress. 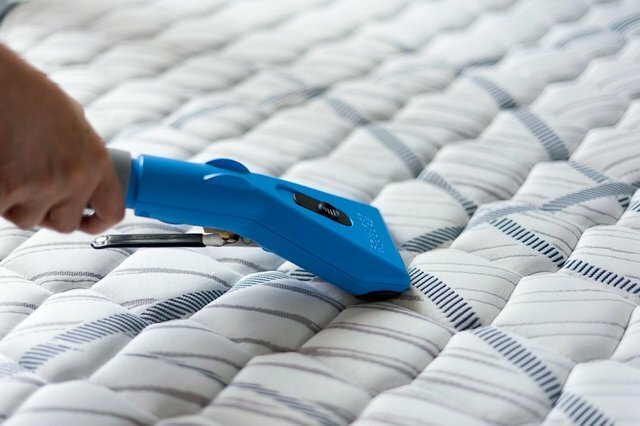 Most mattress manufacturers require a used mattress to be cleaned by a professional mattress cleaner before it can be safely handled for repairs. I’m fully prepared and will be glad to help you by speeding up the warranty repair process of your mattress. Call me today at Mattress Cleaning Melbourne for all of your mattress cleaning and sanitising requirements and don't forget to ask about my discounted bulk mattress sanitising service rate on multiple mattresses. Powerful hepa filtration extraction – I only use the most powerful and effective equipment. This equipment is designed to eliminate dust, dust mites and their excrement, larvae, eggs and skin scales from your mattress. Dust mite elimination – I only use devices and solutions that are tested and approved for safely eliminating germs and contaminants including bacteria from soft furnishings. My products are USA/EPA tested approved and my trained methods are completely safe leaving zero chance of any adverse effects on you, your family or the environment. Anti-bacterial treatment – I feel that cosmetically cleaning your mattress is not enough. Protecting it from future growth of any bacteria, mould spores or dust mites is in my opinion far more important part of my service. This is why my penultimate step is the application of an anti-bacterial spray, a vital part of my mattress sanitising service. Powerful wet extraction – The last step is to extract any excess from deep within your mattress. This speeds up the drying process and can be very effective in removing some of those tough perspiration stains. 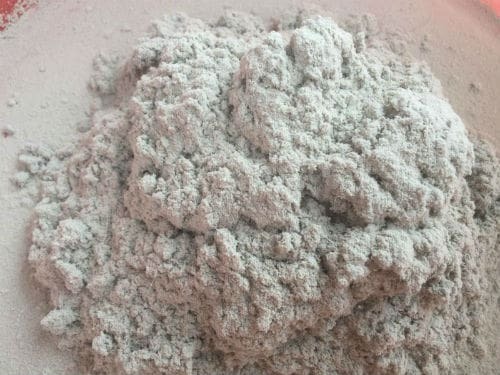 This final process also transforms your soiled and dust laden mattress back to its original factory condition. My ultimate goal is to leave your mattress hygienically clean. This is why I constantly improve my products, training and equipment. My dry cleaning and sanitising methods let you use your mattress or pillows just a few hours after I'm done. I only use tested and approved anti dust mite and anti allergen products on all the mattresses that I service. My guarantee after a service is six months without any possibility of dust mite reinfestation. Dust mites can be a real threat to your health and wellbeing If you are allergic to dust mite excrement. Learn how dust mite sanitation can help keep you and your family safe. I offer professional dust mite sanitation services in Melbourne. Between 2,000 - 10,000 dust mites can be present in one gram of dust. In this photo you can see a pile of debris that I extracted from mattresses at Melbourne University, the allergy causing protein in this pile of dust would be quite substantial. Sometimes we stain our mattresses. Sometimes they smell bad. I'm fully prepared to successfully tackle these issues. Some stains and odours require a more thorough treatment. With my certified products and equipment, I can easily eliminate most organic stains with ease. Click here to learn more about stain and odour removal. Why stop at mattress cleaning? Get your carpet cleaned at the same time and get a bundle discount! Have you come to the end of your lease and need carpet cleaning or is it just time to get those carpets looking great again?